The Asia leading cosmetic retailing group is facing the problem of labelling huge amount of beauty and cosmetics products in daily operation. It requires a certain number of manpower and time to meet tight schedule. After deploying four intelligent robotic labelling system, it shows the power of IRLS and the remarkable result has been reflected on operation management. There is 50% increase in productivity, which is better than expected. As per client’s request, the project has been entered into phrase 2 – increasing the set of IRLS from 4 to 6. The group is required to label over 192,000 products per day to comply with the Hong Kong ordinances – all imported goods are required to label their ingredient’s detail. Therefore, the group employs over 100+ workers for handling this huge task on daily basis. Yet, the high labour cost (i.e. Hong Kong Minimum Wage), keen competition of labour market, and large space of workplace are the biggest challenge. In order to save the group’s operational cost in labelling products and improve productivity, Million Tech’s IRLS which is a one-stop Artificial Intelligence (AI) Labelling Solutions with Robot provides: (1.) Six sets of high speed 4-axis robotic arm, (2.) Direct thermal transfer printer, (3.) Intelligent robotics control software, (4.) Object recognition system, and (5.) Label design system to its warehouse office. 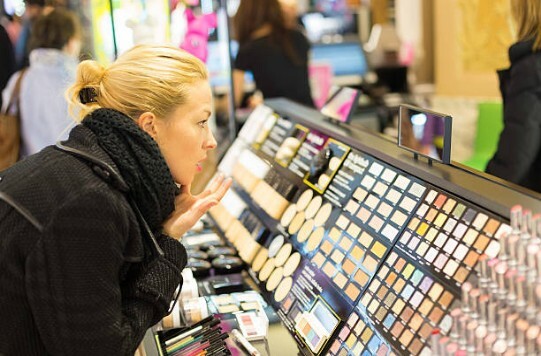 Regarding to the pricing strategy, Million Tech simplifies it by offering a rental scheme to the cosmetics group which assists them in releasing financial pressures. After adopting Million Tech’s IRLS, it helps the group on saving labour cost of 5 skilled worker’s monthly salaries, and boosting the productivity by 3 unskilled workers to replace 10 skilled workers. Better still, IRLS could apply labels according to the product packing’s shape such as round, box, cylinder, tube, inflatable, etc. It applies the robotic labelling system to avoid human error, and enhance the productivity 4 times than before. By choosing Million Tech as partner, the group can leverage Million Tech’s over 30+ years’ experience in labelling solutions and enjoy the outstanding benefits from IRLS.